Alcohol is part of our society and there is a continuing struggle between law enforcement and the consumption of alcohol. Drinking and driving is not illegal. It is only when your driving ability is reduced by alcohol that the DUI accusation is valid. Every DUI case is different; based on different facts. Every person is different; regarding the effects of alcohol, physical abilities and reaction to stress. 5 Things You Must Do Immediately. 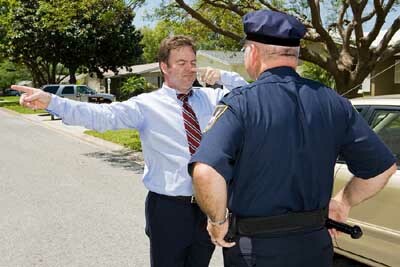 Have more questions about a DUI charge? See my DUI Charge Questions and Answers. Reason for the contact between officer and driver – extent of "bad driving". Alleged statements and questions not asked. Roadside maneuvers: were they fair and accurate? Correctly administered? Did they prove anything? Chemical test: accurately performed? Is reported result accurate and trustworthy? Was equipment and officer qualified? A guilty plea to DUI must never be "given away." 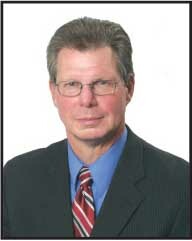 I will consider all DUI defenses, issues and requirements. I will explore every alternative disposition to your DUI charge. Your driving record is your record for life and the penalties and consequences for each subsequent conviction are more severe. Additionally there are two challenges with a DUI or drug driving accusation. You are given a court date when the prosecution begins with the threat of incarceration, loss of driving privilege, fines, community service and alcohol therapy. DUI defense work is serious and complex. I have the experience, the knowledge, the energy and the aggressiveness to be proactive with a vigorous defense to your DUI charge. If you blood alcohol is reported to be above .080 or if you are accused of voluntarily refusing to take a blood or breath test, the DMV will seek to revoke your driving privilege before you ever go to court. A defense of this administrative threat requires a competent and aggressive defense. If the administrative revocation is ordered, the requirements and eligibility of the ignition interlock device are difficult and complex. I have the understanding and knowledge of the administrative consequences to minimize your loss of driving privilege. Traffic laws are confusing and complex. The DMV is difficult, if not impossible, to contact. The consequences of suffering a DUI conviction may result in loss of driving privilege for one to five years. There are mandatory DUI jail sentences. Months of alcohol classes and therapy are required by the Court and DMV. For most citizens driving is essential to earn a living, care for a family and live in northwest Colorado. I will consider every alternative to avoid or minimize these DUI consequences. It is important that you take action now and call for an appointment Upon a DUI arrest, you may have only (7) days to avoid an administrative revocation of your license. It is important that you take action now and call me for an appointment (970-871-7400). "There is a continuing struggle between law enforcement and the consumption of alcohol. Drinking and driving is not illegal. It is only when your driving ability is reduced by alcohol that the accusation is valid. Every case is different; based on different facts. " 5 reasons you may be legally pulled over. Voluntary means Voluntary. The status of Colorado's roadside maneuvers. Read When should you refuse a breath test? More about the consequences of the Colorado Express Consent law. Should you take a breath or blood test? Can you get a DUI even when you are not driving? Find Out Here. What is the difference between DUI and DUI Per Se charges? You have 7 days to request a hearing after a DUI arrest. New statute in Colorado. Random breath tests become a condition of the bail bond. A DUI Checkpoint is Ahead. Attorney Larry D. Combs provides defense for dui (drunk driving) accusations within the 14th judicial district which includes Routt County, Moffat County, and Grand County Colorado. This includes the municipalities of Steamboat Springs, Craig, Hot Sulphur Springs, Oak Creek, and Hayden.